So many of the newer prog bands seem to either choose to follow the path of older bands like Yes and Genesis or go with the new trend of harder edged prog along the lines of Dream Theater. It is refreshing to find bands that combine the two elements into a sound that both pays homage to those genres and forges a sound all its own. 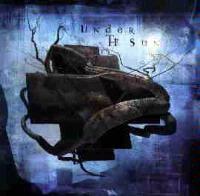 Under The Sun is one such band, and their debut disc is truly one of the finest of the year 2000. Much of the album has the hard-edged, almost prog metal elements. However, many of the pieces, or at least sections of them, are firmly rooted in the older, less crunchy prog sounds. This combination really creates a very listenable approach that reminds the listener of various groups while still following its own musical path. This Canadian band is composed of Chris Shryack, Kurt Barabas, Matt Evidon and Paul Shkut. Beginning with an acoustic guitar mode that is very Howeish, the cut begins building on this style in a very Yesish fashion. However, the vocals are in a much lower register. As t carries on, the Yes leanings continue until a harder edged jam, a bit DTish, takes the composition. Next it drops back to mellower modes that are again quite Yes oriented. The song alternates between these styles for a time, building and expanding upon them. The next change is to a killer fast paced prog jam that really cooks. This gives way to a brief keyboard excursion and then to an instrumental break set in a wonderful rhythmic pattern. As the cut continues out of this segment, piano takes it for a time. Then a buildup, again Yesish, returns and moves the cut back to the earlier territory. The instrumental outro is phenomenal. A very cool prog build starts this cut, and as the song proper kicks in, the rhythmic patterns are very intriguing. This one comes across as hard edged, nearly metallic, but is definitely all prog. It then drops to a segment that is more stripped down and bass driven for the verse. This section builds and the harder modes return. The cut alternates between these styles before transforming into a killer prog jam with definite Floydish leanings. This in turn becomes a more jazzy sort of instrumental section. After the vocals return, then leave again, a screaming DTish instrumental segment takes the next moments of the composition. With a vocal intro that calls to mind It Bites, this cut is a very unique and unusual piece. It comes across as quirky hard edged rock with some prog leanings. This song, although weird in texture, is quite cool and surprising. It includes one killer hard edged prog segment that is more mainstream. Keyboard tones begin this one, and as the other instruments join it is in the form of a hard rocking and very interesting riff. As the cut evolves, it transforms to a rather hard edged quite tasty prog tune. This one again seems to call to mind It Bites. The instrumental break, though, features a very Rushish rhythm section. It drops to a more sedate segment later, then back up to the earlier modes. Crunchy frantic prog in the mode of Dream Theater begins this cut. As it continues, it drops to a more sparse arrangement with a vocally dominated theme. It moves onward alternating between these modes with the DT elements staying prevalent. The tune features great keyboard sounds and powerful vocals. Starting sedate, moody and a bit mysterious, this one has a great balladic texture that seems to combine Rush with Queensryche. It is a quite solid, but not exceptionally surprising, cut. It does include some great piano work and a couple of killer instrumental segments. Bagpipes begin the cut, then percussion takes over from there. As the song begins building it is in a great classic prog mode. Then it erupts into some awesome hard edged prog segments. A great jam ensues after a bit of a respite. This cut is an instrumental extravaganza that keeps redefining and expanding on itself. A killer piano jam dominates the late sections of the cut. Weird effects and whispered words make up the early sections of this piece. This movement is difficult to describe and quite odd. The segment ends quite abruptly. As the next section of the piece enters, it is in classic fast paced prog textures. From here the piece turns very hard edged and a bit noisy, but also quite powerful. As it moves out of that mode, it is into a great prog jam with a killer groove. The guitar solo gets a bit overblown at times, but this is still a killer jam. It then drops to a wonderfully poignant piano driven segment. The cut bursts forth from here in a rather Permanent Waves era Rush styled jam that really smokes. It drops to more sedate and ethereal modes based on a pretty acoustic guitar riff to end. Processed Native American chanting serves as the intro here. As the instruments join it is in hard edged prog fury. The cut drops to a more sparse arrangement, and as the vocals enter a Kansas sort of orientation takes over. This is one of the strongest cuts on the disc and is very powerful. The cut drops back to the Native American elements, then to an acoustic guitar ballad mode to carry on. As it continues on, it screams out in metallic tones. This one starts with sedate tones, and begins building in a slightly weird sort of mode as it continues. It transforms into a hard edged prog jam that really cooks, then drops to a more sedate segment with an absolutely awe-inspiring bass line. It keeps redefining itself in more nearly free form jamming. It then rematerializes back up to a great resolution based on the chorus to end the song proper in powerful modes. The cut continues with atmospheric keyboard tones, storm effects and vocals far down in the mix to end.